The band’s first recording line-up included Ismo Turunen – bass guitar, and Jani Linnanmäki – drums. 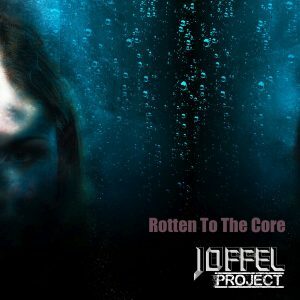 In September 2011, the Joffel Project had their first studio session and recorded 8 songs with guitars, bass, and drums. At the end of September 2011, the Joffel Project finalized and released 4 songs with 3 legendary Finnish rock vocalists: Mr. Leiden (“Downshift” and “Tomorrow and Yesterday”), Mr. Pänttäjä (“Customer” and “Fool for your stockings”), and Mr. Herranen (“Rosalie”). In August 2012, the second recording session consisted of 7 new songs. The Joffel Project used the same recording line-up as 2011 with added new bass guitarist Vesa Pännäri who played bass tracks to 4 new songs. Bass player Ismo Turunen from the first line-up could not record in the second session because of his busy schedule therefore, recorded his bass tracks to 3 songs in North Carelian at a later date. In vocal parts, famous Finnish rap vocalist Mr. Steen1, added his vocals to the song “ Se tavallinen tarina” and Mr. Leiden, added his vocals to “Mercenary Man” and “Bad Habit”. In August 2013, the third recording session consisted of 2 new songs. The Joffel Project used the same recording line-up as 2012 (Joffel – gtr, Vesa – bass and Jaska -drums). In vocal parts, Mr. Dubin added his vocals to the song “Wishing well” and awesome talent Mr. Ilja Jalkanen, added his vocals to “Breaking Boundaries”, “I’m gonna get you” and Whitesnake cover song named “Girl”. In January and April 2014 Mr. Olavi Tikka and Ms. Regina Chevakova add vocals part songs “What You Do To Me”, “Come Back To Me” and Velvet Revolver cover “She Builds Quick Machine”.